Parts of the United States are seeing the worst winter weather that has been seen in over 20 years. Due to this fact, many schools, businesses, and roadways have been closed in light of safety concerns for workers, students, and motorists. While the extreme cold is problematic, and rather unprecedented, there are additional concerns that relate directly to the movement of goods as roadways are closed and workers are told to remain indoors; packages are not moving, shipments are not being picked up. The USPS announced that it will not be running any service in most parts of Minnesota, Wisconsin, Iowa, Nebraska, and Illinois on account of risks related to the extreme cold brought on by the Arctic temperatures that are being seen in these areas. At least two other major carriers have also cancelled shipments and closed facilities for the day, tightening the supply chain further while this cold snap continues. The extreme weather conditions are directly affecting all aspects of your supply chain, and it remains unclear when this will abate. If a shipper is to work with a Fourth-party logistics provider, the 4PL has the potential to connect you with other carriers in the event that your typical carrier is unavailable for any such purpose. 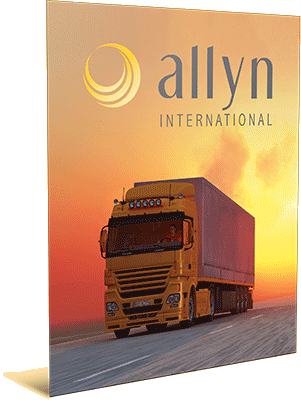 Contact sales@allynintl.com to see how we can assist you in these difficult times, and be sure to stay warm as the polar vortex continues to pummel the Midwest and Northeast regions of the United States.